Atom technology is an IT company which currently provides high quality web page design and website development for Hong Kong customers. We have been service different types of customers over the past 6 years, which include government projects, multinational enterprise and individuals. With years of experience in web design and website development, we truly believe that we can provide the top-notch services and works for our clients. Atom technology is a team which consists of UI/UX specialists, software engineers and project consultants who are well experienced and professional in the industry. We provide pioneering visual design and exclusive user experience website design to meet with our client needs. We provide innovative consultancy and support to our customer. Web design, website development, online product redemption and CRM (Customer Resources Management) development. One of the most comprehensive online quotation for relocation services in Hong Kong. All our website development in Hong Kong are responsive. Our websites are renderd well on a variety of devices and different screen sizes. 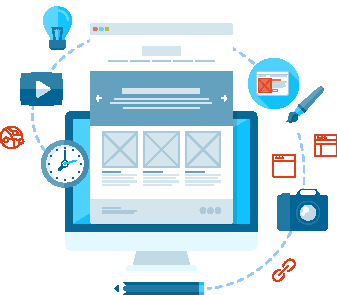 All our websites are developed with designated purpose and with a backend system, we will surely give the backend to our clients, they can edit the website and review data whenever they want to.